If you've not heard yet, myself and five other programmer-type dudes have been working on an album of electronic music to raise the money to start a computer programming club at The National Museum Of Computing and parent-child maths workshops at Bletchley Park. 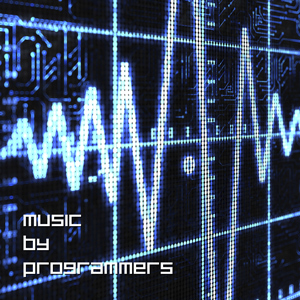 The album, Music By Programmers, goes on sale today. You can download it from iTunes, Amazon and Google Play. Every penny of the profits goes directly to these projects, and every download is essentially a donation of £4-5, depending on where you buy it. Be assured: every download makes a difference. You'll also be able to buy a very limited edition CD version, featuring bonus tracks in a spiffy full-colour digipak from the Bletchley Park online shop later today. Only 50 of these exist. Your support is vital to making these projects possible. If electronica's not your cup of tea, you can donate instead. There's a link on the website. You can find out more by visiting the Music By Programmers website.